Aboa Mare STCW training is audited by the Finnish Education Evaluation Centre and Finnish Traffic Safety Agency and therefore fulfills the requirements set out by the International Convention on Standards of Training, Certification and Watchkeeping for Seafarers (STCW). In additional to our STCW education to become Master Mariner, Marine Engineer, Watchkeeping Officer, Watchkeeping Engineer and Electro Technical Engineer, we offer STCW courses for individual seafarers and shipping companies. All required STCW training can be delivered by Aboa Mare in Finland or on site. Examples of STCW courses given at Aboa Mare are Basic and Advanced ice navigation training according to the Polar Code, Basic and Advanced training gas safety training according to the IGF Code, Revalidation of Certificates of competencies for the officers and Medical Care courses. Check out our scheduled courses here. Aboa Mare can deliver STCW training in top notch training center at GigaMare training center in Subic Bay, Philippines and GMC Maritime Training Center in Piraeus, Greece. 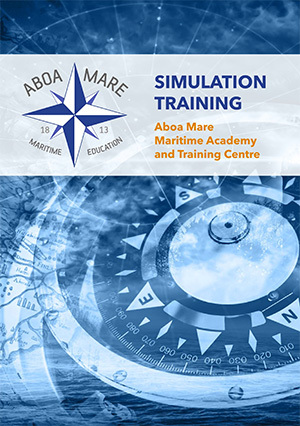 Aboa Mare offers a tool Training Need Analysis, which will find out your officers’ qualifications and training needs. The International Convention on Standards of Training, Certification and Watchkeeping for Seafarers (STCW) has been revised twice, in 1995 and in 2010 and sets the base line for the maritime training requirements in the world. The STCW Convention requires that training leading to the issue of a certificate is 'approved'. The International Maritime Organization (IMO) does not approve any training courses or institutes the approval is normally given by the Maritime Administration of an certain flag state. The STCW convention requires that STCW training and assessment of seafarers are administered, supervised and monitored in accordance with the provisions of the STCW Code; and those responsible for STCW courses and assessment of competence of seafarers are appropriately qualified in accordance with the provisions of the Code. Aboa Mare is interested to apply for different flag state approvals to be able to be you training partner in STCW courses.